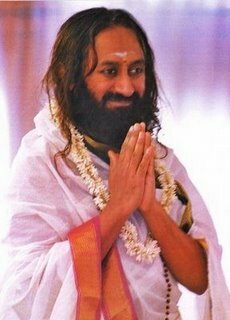 Sri Sri Ravi Shankar: In the history of Mankind, the most beautiful Tattva (a fundamental underlying element or principle) that has been conceived or discovered is the Shiva Tattva, and in that too, in particular is the form of Lord Shiva as Nataraja – the Lord of Dance. The essence behind Nataraja is in itself so unique and beautiful. Our life is composed of different stages or levels. Life is not experienced at just one level alone. Scientists today say that our brain is a frequency analyser. For example, if you set your television to a particular channel, then you get to see and hear only that channel. Isn’t it so? When we change the channel, then we see and experience another different channel. Our brain works in the same way like the TV and its channels. There is a multitude of channels across the whole world today, but we are tuned into and living in one particular channel – and that channel is this World, this Creation. When we change the channel, then an altogether different world, a different realm gets revealed to us – and that is the subtle world. In this subtle world, there is a constant dance of consciousness. This world before us, and whatever we are going through and experiencing (at the level of the gross material world) are actually the effects or results of this cosmic dance at the subtle level. When Nataraja’s dance comes to an end, the entire creation too will come to an end. Nataraja's dance is eternal, and has been constantly in motion in this creation. It is not that the Divine performed this cosmic dance some 10,000 or 20,000 years ago. It cannot be dated back in time. People have a wrong notion about this and say that this dance happened on a particular day, at a certain time. No, it is not so. Nataraja’s dance is eternal, and has been constantly in motion in this Creation. The Purush Tattva, or God (the Cosmic Being as the substratum and most fundamental principle of Existence) is that which pervades and permeates every particle of this Creation – and that is whom we call as Nataraja. In the idol representation, you will see that Lord Nataraja is standing with one foot on top of an asura (demon). That demon is called Apasmara. Do you know what Apasmara means? Apasmara refers to the disease of Epilepsy. It also represents ignorance and inertia. When one overcomes the inertia and negativity, then one dances in pure bliss – and that is called Ananda Tandava. The demon here represents that inertia which is beyond one’s control. It is inertia that comes when the mind depends on external or outward sources for happiness, and strays outwards through the senses. When the mind overcomes this inertia and turns inwards to repose in the Self; when it returns to the real source of all joy, then it is a sign of being established in the Shiva Tattva. How is Lord Nataraja depicted in idols and pictures? He is shown dancing in absolute bliss and has four arms. In the palm of one hand, he holds Agni or fire element. Here, the fire element represents Shakti - the totality of the Energy of this Creation. This Energy is upheld and supported by the Shiva Tattva, the Divine consciousness. In the other hand, he wields a Damaru (a small two-sided musical instrument). The Damaru represents infinity. You must have seen in Mathematics also, that when one writes the symbol for infinity, it is written in the form of a Damaru. The Damaru represents both the Space element, and the Air element. The quality associated with the Space element is Shabda or sound. It is said that when the Damaru plays, then from its sounds was born the science of language, grammar and phonetics. When Nataraja’s dance comes to an end, the entire creation too will come to an end. Every child since its birth is a born Yogi. Does anyone teach the baby how to hold its thumb in Adi Mudra; or how to fold the fingers in Chhinna Mudra? When a baby is born, its fingers are clasped in Adi Mudravery naturally. Babies and young children are effortlessly able to perform the Bhujangasana or the Cobra Pose; Pavanamuktasana pose; Hasta-padasana etc. Every child at that tender young age is able to do these Asanas very easily and naturally. Has anyone taught them these at that age? The Shiva Tattva that pervades in every particle of this Creation – this knowledge comes from that very Shiva Tattva. Who has taught the birds how to chirp? Who showed the birds how to build nests? When you think about these aspects, then a deep sense of wonder dawns within you. You then realize that there is one Supreme underlying Intelligence which has all the knowledge and Lord Shiva is the personification and representation of that Divine knowledge. Lord Shiva is said to have three eyes. The Third Eye represents knowledge that is beyond the reach of the senses. One kind of knowledge is that which we receive through our sense organs. The other kind of knowledge is that which is beyond the limited comprehension of the senses – which is represented by Lord Shiva. One of Lord Nataraja’s hands is placed in Abhaya Mudra (the pose dispelling fear and giving blessing and protection). It means to convey, “My dear one! There is nothing to fear. Be free of worries, be happy. Have patience and total faith”. This is what is represented by the Abhaya Mura. The other hand is swayed across and slightly bent downwards, pointing to the feet. What does that mean? It means to say, “Dance! Rejoice and celebrate! Be humble in life, but also walk confidently with your head held high.” One who is arrogant is not necessarily free from fear. Here, it means to be free from fear and yet not stiff with ego. It means to be simple, to be natural. 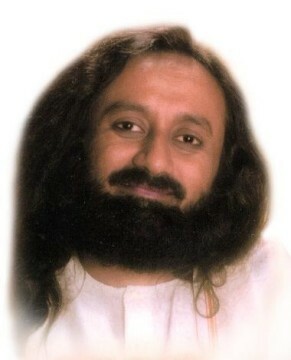 It means to become a Sharanagati – to be totally surrendered to the Divine. You have everything with you that you need – this is what is meant by the position of the other hand. This is the deeper meaning behind the representation of Lord Shiva in Ananda Tandava. Life itself is a dance – we have to take the material and the spiritual aspects of life together, hand in hand. There is a snake around Lord Shiva’s neck. What is the meaning behind that? The snake represents awareness, alertness. It means to be free from inertia and ignorance. What is the meaning behind Mother Ganga flowing from the matted locks of Lord Shiva? Ganga here does not indicate a certain lady, or the waters of the divine river. Ganga represents knowledge. There is a deep inseparable connection between knowledge and the River Ganga; just like the connection between River Yamuna and Love. Countless immortal tales of love have taken place at the banks of the River Yamuna. All the sacred congregations and gatherings for spiritual knowledge have taken place on the banks of the River Ganga. 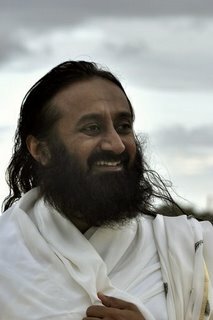 Here in India, we have since time immemorial believed in the inseparable connection between Love and Knowledge. It means that both the Buddhi (intellect) and Bhava (feelings or emotions) have their place in Life. This is why Lord Krishna says in the Bhagavad Gita, “When you unite and become so totally one with Me, then not only shall your intellect become sharp and endowed with knowledge, you shall also not have any lack of intense love and emotion”. In the absence of feelings and emotions, you cannot experience peace. Lord Krishna says, “One who does not surrender and unite totally cannot experience the intense feeling of love, devotion and bliss. Such a person becomes so dry and emotionless, as if a living corpse. Yet, he who becomes one with Me, experiences intense feelings of love and joy; his eyes shine and radiate love; his intellect becomes sharp and one-pointed”. Lord Krishna has spoken about all the signs one experiences when one surrenders to the Divine. When feelings of love arise from within, and at the same time the intellect becomes sharp - only then can one experience deep rest and peace. Life itself is a dance – we have to take the material and the spiritual aspects of life together, hand in hand. Let one foot rest upon the Earth, and let the other foot rise upwards into the Heavens – then that is when a dance happens spontaneously. If both feet get firmly planted on the ground, then you cannot dance at all. And if one takes both feet up in the air – meaning that if one is not steady and well-grounded; when a person only talks or acts superficially without depth, then also dance cannot happen. For dance to happen, one foot should lightly be in touch with the ground, while the other should be raised upwards off the ground. Having a very slight contact with the Earth (material world), while simultaneously elevating the rest of the body skywards to the Heavens such that it sways and rejoices in the subtle, invisible ethereal Space – this is the deep meaning of Nataraja’s dance.